The famous rapper known for huge hits including “Take Care” and “Hold On We’re Going Home” celebrated his 27th birthday in style with a major bash at New York’s newest hot spot Tokya. Around 200 friends, including fellow rapper Busta Rhymes and New York Giants football star Victor Cruz , were in attendance to enjoy Drake’s big night out. 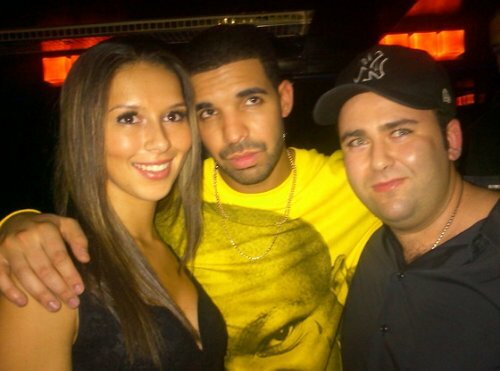 According to a source, Drake wasn’t flirting with any of his female guests during the party. Instead, the rapper chose to enjoy the night near a private table with champagne, music from DJ Spade and close friends. The birthday bash comes right in the middle of Drake’s arena tour. The Canadian star is traveling across the country in support of his new album, Nothing Was the Same . With Miguel and Future serving as openers, the tour has grabbed plenty of fans’ attention including Today show’s Al Roker . The famous weatherman’s hilarious Vine video from Drake’s Connecticut show went viral earlier this week. While Roker’s daughters loved every minute of the show, Roker claimed he was “too old” to enjoy the night. It’s safe to say someone made a smart choice in missing this birthday bash. Happy Birthday, Drake! Pregnant Kerry Washington Steps Out for the First Time Since Baby News Goes Public—Take a Look! Actress Kerry Washington was caught by paparazzi while running errands in New York City today, her first public outing since confirming that she’s pregnant with her first child. The smiling Scandal star looked extra comfy, wearing light gray sweats with black furry boots and covering her growing baby bump with a baggy striped T-shirt and oversized sweater. Julia Roberts may be nearing 50, but the actress proved she’s just as stunning as ever when she recently stepped out without a stitch of makeup. Roberts went for a cozy casual look when hitting up a grocery store in Malibu on Tuesday, sporting a pea coat and shearling-lined booties as she stocked up on goods. On her face, she rocked a pair of black sunnies and not much else, for a gorgeous barefaced look that definitely has us curious about her beauty routine. In keeping with her lovely yet low-key look, she tossed her hair up in a messy top bun. The star showed off her natural beauty just days after celebrating her 46th birthday with husband Danny Moder in New York, where the pair grabbed brunch at the Little Owl and hit Broadway for the opening night of Betrayal , starring Daniel Craig and Rachel Weisz . But it wasn’t just Roberts’ makeup-free look that impressed us during her recent day of running errands. The mother of three flaunted some seriously toned gams in workout shorts she wore under her coat. We’re guessing her trip to the yoga studio following her grocery store visit could have a little something to do with her fabulously fit body. Oh no she didn’t! We figure that’s something a true diva like Céline Dion or Kelly Rowland would say upon finding that her competitor stole her couture. Yes, these are two different versions of the same Anthony Vaccarello design, but in the land of the A-list singer, they’re way too close for comfort. We’re not surprised that the “Loved Me Back To Life” singer and X Factor judge both picked this hot black look, but now they’re paying for their perfect taste with a battle of who wore it best? Right off the bat I’m in love with Celine’s LBD version of the look. The position of the metallic circles adds the perfect touch but keeps the shape in tact. But outside of that detail, the look gets a little boring. Yes, there’s that one-sleeve action, but the former queen of Vegas could use an accessory or two. Kelly shows us how it’s done with a dramatic up-do and statement necklace. That said, the long length against the metallic embellishment hugs her thighs in all the wrong places. So it comes down to proper accessories versus perfect fit. Sadly, we say fit every time, making Celine the singing victor. What’s your say? Who wears her daring black dress best? Celine Dion or Kelly Rowland? Beyoncé’s Mother Tina Knowles Makes Red Carpet Debut With Boyfriend Richard Lawson! 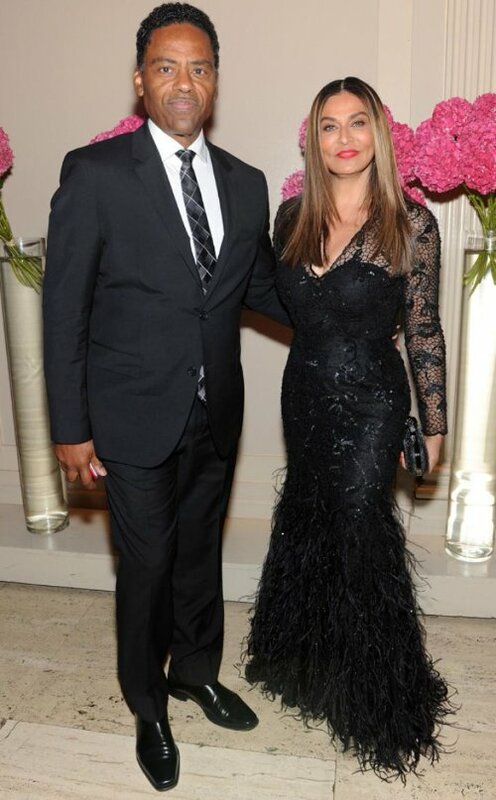 Tina Knowles is stepping out with her man! Beyoncé ‘s hot mama walked the red carpet at the Angel Ball in New York City Tuesday evening with a brand spanking-new accessory: her boyfriend Richard Lawson . I learned that the fashion designer is dating the V actor and that the duo danced throughout the evening. An eyewitness says that the couple was “very cute together” at the swanky affair. Tina, 59, looked positively stunning in a black lace gown with a feathered hem. She opted for sleek long locks and a bold red lip to ramp up the drama factor for the black-tie gala. Tina shared with E! News that she’s gearing up for another ensemble of an entirely different kind. She shared that both she and Beyoncé are excited about getting into costume for Halloween and that Blue Ivy is jumping in on the family fun. “Beyoncé has about five outfits picked out for her and she has yet to make a decision,” Tina told us . Most celebs go through a “bad girl” phase, but it looks like Rita Ora is experiencing the exact opposite. The “How We Do” singer stepped out in her most sophisticated style to date—a fully beaded Donna Karan stunner. We doubt this edgy Brit is having a full change of fashion heart, but it’s refreshing to see her rocking some classic couture—even if it is some sort of Halloween costume. From a distance, this metallic stunner looks much simpler than it is. The close-up details reveal lines of bugle beads draped from the neckline, all the way down to the filtered out tulle train. It’s a work of modern art, which actually makes it less of a hard right turn for the avant-garde lover. We expect to see Rita in something see through, plastic or spike-covered as early as tomorrow, but for the time being, she’s the belle of the ball. 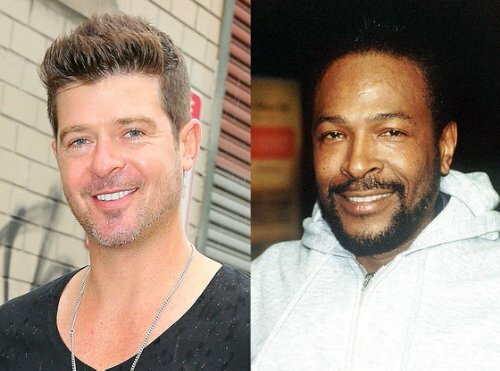 Marvin Gaye ‘s kids feel that “Blurred Lines” crossed a few legal boundaries. Siblings Frankie and Nona Gaye state in their suit that the defendants are guilty of the “blatant copying of a constellation of distinctive and significant compositional elements of Marvin Gaye’s classic No. 1 song,” according to documents obtained by The Hollywood Reporter.